Adult only, all-inclusive Sandals Resorts are perfect for a destination wedding and a free wedding package comes with a three night stay at any Sandals Resort. So how do you plan a wedding at Sandals? 3 nights + 2 people = a free wedding at Sandals and everything you need is included. That means ceremony, bridal bouquet, boutonniere, music, photo, wedding cake and cocktail reception. Want a wedding web site and honeymoon registry? Included. Want to customize your wedding or add extras? No problem mon and stays of 6 nights or longer and wedding groups earn extra perks. So how do you start planning a wedding at Sandals? The cost will be displayed. When you’ve made your selections your total wedding cost is calculated. And here’s a super cool feature! Play around to your heart’s content mixing elements from one theme with another. If your fantasy wedding doesn’t fit your oh so real life budget, go back and add or delete items. You’re online so no stress, no sales pitch, just the information you need to plan a wedding at Sandals. Told you it was a cool feature! With 17 Sandals Resorts there are choices to fit almost every honeymoon budget starting from about $1000 for two people staying 3 nights all inclusive. And remember, that includes a free wedding package! 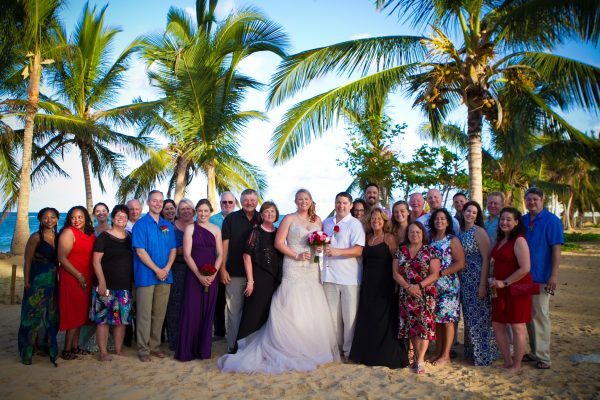 Totem Travel is a Sandals and Beaches Preferred Agency and certified Sandals Wedding Specialist. We’ve been to all the resorts and would love to help you choose the best all-inclusive resort, select the perfect room, find the best deal and create the wedding and honeymoon of your dreams. If you have questions about how to plan a wedding at Sandals Resorts and want help from an expert just call or email. Our Sandals Wedding Specialists are trained and certified by Sandals and all our services are free. 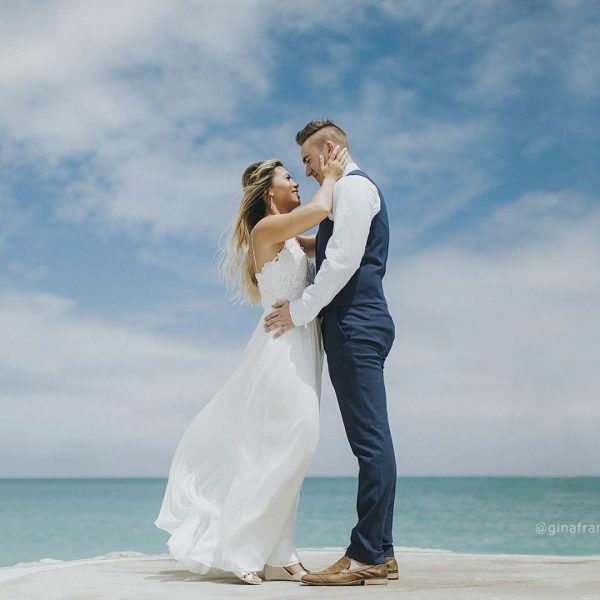 The Sandals Specialists at Totem Travel have been to all the resorts, seen the wedding and reception set ups and can help with everything from resort and room selection to reserving your wedding, keeping you on track for documents and escalating to resolve challenges. If you’re planning a destination wedding group, your Sandals Wedding Specialist will make sure you get all the bells and whistles you deserve like free rooms, upgrades and complimentary private functions. We’ll also act as a single point of contact for your guests, making reservations, answering questions and keeping you up to date as the group comes together. OK I’m ready! What do I do next? Turn your wedding plans into a dream wedding come true! Once your honeymoon and wedding time and date is reserved you’ll be assigned a pre wedding travel planner to help with everything you need before arrival. Once at the resort, you will meet with your onsite planner who will act as your personal wedding planner and make your special day and the moments leading up to it a breeze! So call or email the Sandals Specialists at Totem Travel. We have been recognized as one of Sandals top travel agencies in North America for more than a decade. We’ve been to all the resorts, do this every day and LOVE to help couples plan their wedding at Sandals whether for 2 or 200. Call us! P.S. Sandals all-inclusive resorts are for adults but if you want to have children at their wedding no worries! Beaches Resorts are for everyone and offer the same wedding options and easy planning process.